Itâ€™s time to throw back a shot of courage, learn to tackle fear and self-doubt like a BOSS, and transform lives as only YOU can! One decision helped this uninspired, unmotivated entrepreneur on the verge of abandoning her business to finally ditch her limiting, self-sabotaging beliefs and uncover her radiant Truth. Now sheâ€™s helping thousands of others do the same. â€¦then why the hell are you still reading this book description? 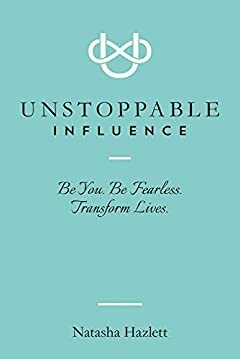 Buy the book and let's get moving on the path to Unstoppable Influence. People are waiting for the special message that only you have, so letâ€™s get going!